Cinemax Multiplexer Cinema Review is a renowned Multiplexer cinema in kanpur. 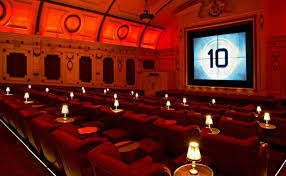 It has all modern facility in cinema. It is situated at kidwai nagar in kanpur. It is very well maintain and looking good.It is very popular cinema in kanpur as well. Its structure is also very good. It is located best part of the city so anyone reach there easily. Many people come here daily for entertainment purpose.Many family come and enjoy there.You can also book there movie ticket through online or telephone. In kidwai nagar it is very famous multiplexer cinema.